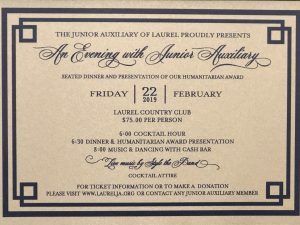 SUPPORT THE CHILDREN OF LAUREL & JONES COUNTY BY PARTICIPATING IN OUR FUNDRAISERS. Dinner tickets are almost SOLD OUT for our annual fundraiser TOMORROW evening ! Limited seating available! Unable to make dinner? A fun evening still awaits! Join us after dinner at 7:30 for light hors d’ouervs, cash bar, WINE PULL, and of course, dancing with the live music by Style the band! 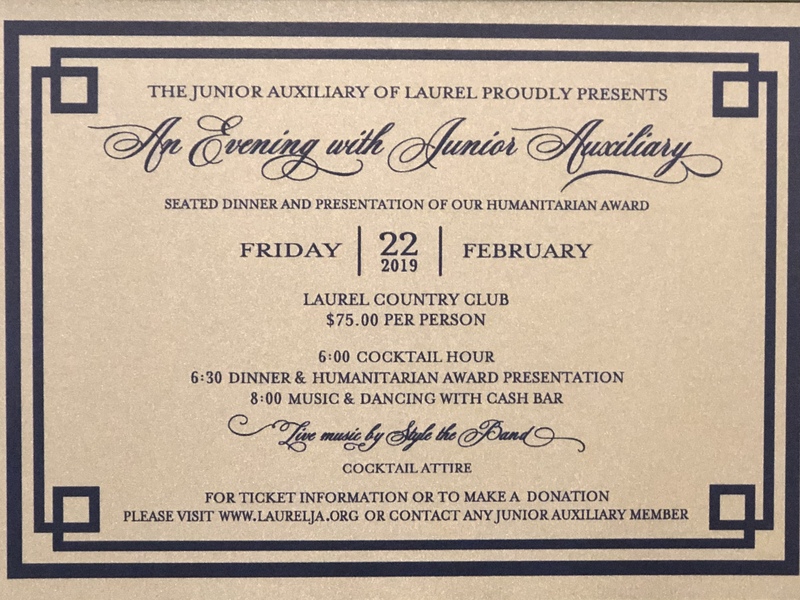 Tickets may be purchased online, through Facebook “An Evening with Junior Auxiliary”, our website www.laurelja.org or through Venmo @LaurelJA. All tickets are $75.00 and the Wine Pull is $20 per buy-in. 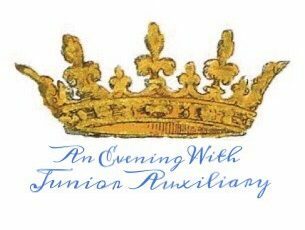 Dinner tickets will not be available for purchase at the door. 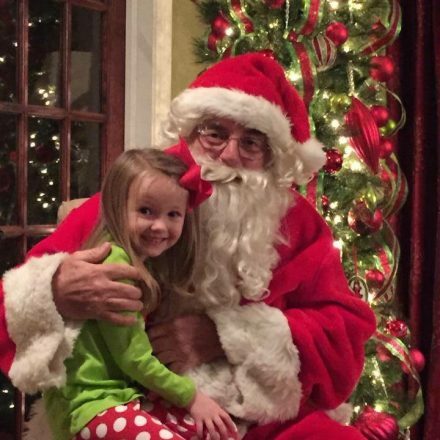 Santa Comes to Town with a Crown is an exciting fundraiser for both kids and adults. Santa makes a short visit to your home, just to check in. You can take pictures and visit with Santa for a few minutes in your pajama’s or you can make it a party with lots of family and friends. This is a great way for Santa and his elves to get an early start on knowing what each kid may want to see under the tree Christmas morning. 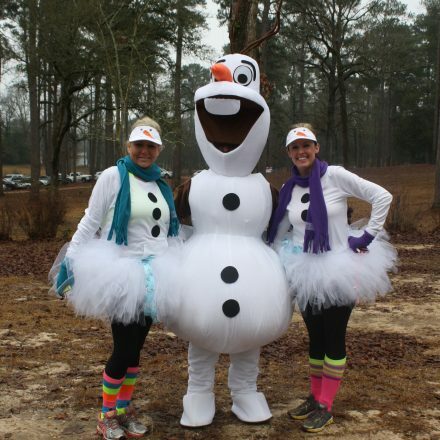 The Frosty Frolic 5K is a fundraiser that supports local children who have been left out in the cold. Help us raise funds and awareness for these children. Our course begins at Mason Park and winds through the beautiful streets of downtown Laurel back to Mason Park. Join us as we frolic to the finish line for these kids!